Rich in both environment and history, for 150 years the French and British fought for possession of St. Lucia. In the end, the island traded hands 14 times, but was finally left under British control in 1814. After many years of power struggles, independence came to this much-sought-after west indies island in 1979 as an independent state within the British Commonwealth of Nations. After initial research we discovered just how much there is to do in the town of Soufriere that we would spend our five day getaway exploring all the area has to offer. With adventure, taste buds and budgets in mind, we mapped out our excursions by time and energy. With the first three days for hiking, snorkeling and exploring, our final two days were open for relaxation and discovery outside our itinerary. Below we share a few of our favorite things about the island in hopes to inspire more people to experience this amazing country for themselves. St. Lucia is just about 27 miles long, making land travel fairly simple via rental car or taxi. The international airport (UVF) is located at the Southern most tip of the island and about an hour to the town of Soufriere. 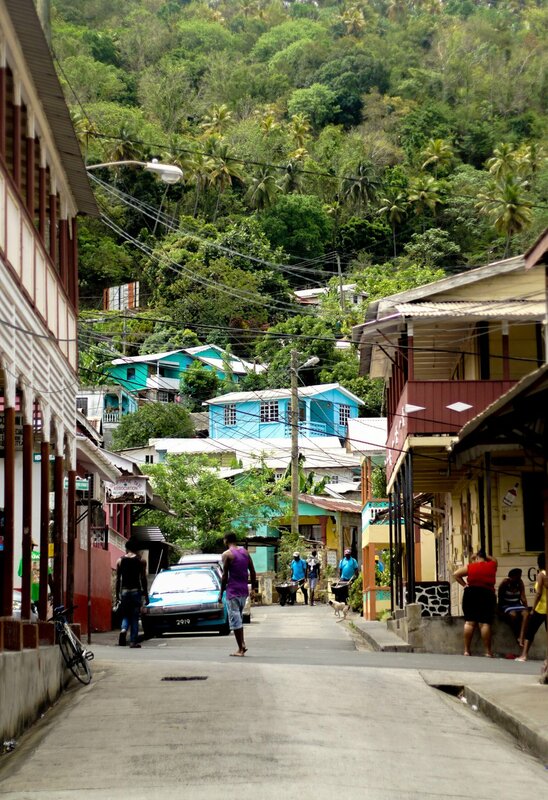 Soufriere is one of St. Lucia's oldest towns on the islands with rich culture and environment also serving as home to the infamous Piton mountains. Some quick calculations proved a rental car to be the most cost effective way to get around the island, to and from activities. With the added freedom and flexibility we were able to venture on our own time with the added bonus of not having to wait on taxis, make prior arrangements or worry about cash for tips. An average taxi trip to local adventures takes anywhere from 10-20 minutes and about $20+ one way with tip. Depending on the destination, the airport is 60-120 minutes and $120+ round trip. 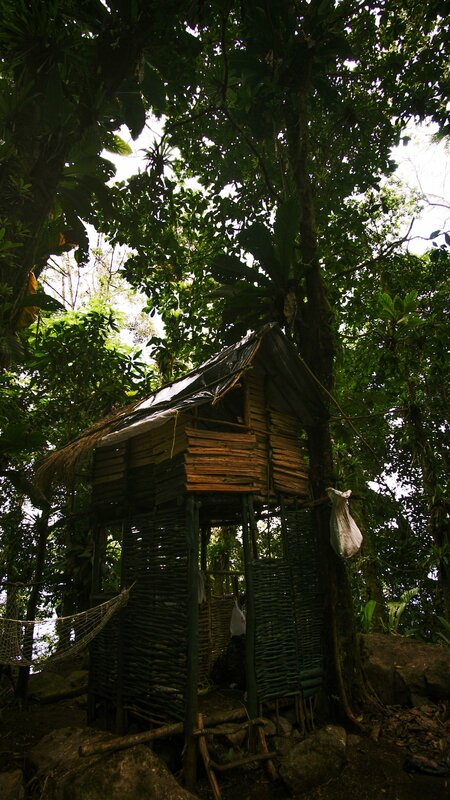 Owner and architect, Nick Troubetzkoy spared no expense with these jungle oases. Anse Chastenaut kisses the seashore with epic views of the sunset and ships with snorkeling, cabana services an art gallery and more. Paying tribute to St. Lucian culture, guests are surrounded with local color and culture in this beautiful multilevel resort. Resembling that of work by M.C. Escher, Jade Mountain offers the best 360 views of the mountains rainforest and pitons. The rooms, or sanctuaries, offer open infinity pools, bottle service and more. Tip: Don't leave without trying a ginger margarita! Part of a 52-acre former coconut and cocoa estate, La Haut is a locally owned and operated mountainside bed & breakfast with views of the rainforest, town, and pitons. La Haut or Le Haut literally means “the height” in Patois, a French dialect and serves as one of the only resorts on the island that offers views of both pitons. Tip: Try the blood pudding and while you're there for lunch, enjoy the views by the pool! Nestled on the sea (Sugar Beach) between the two pitons, this resort felt much like something out of a James Bond movie. Not only were the views captivating but the resort itself had a fresh, simplistic look with beautiful gardens, a centralized infinity pool, cabanas, and more. Spend the day relaxing on the white sands of Sugar Beach and snorkel in one of the best areas on the island. Save money on boat charters by renting gear from the shop. Tip: Expect to hike a bit down the mountain as guests are not permitted to park on property unless staying at the resort. For a more local experience with flexibility, AirBnB is a great option. Sapphire Apartments are tucked into the mountainside just minutes above town. A friendly, knowledgeable staff made the booking process a breeze and offer great insight on surrounding areas prepped to help you make the most of your visit. Tip: With a private kitchen, save money by shopping at local grocery stores and cooking at home! 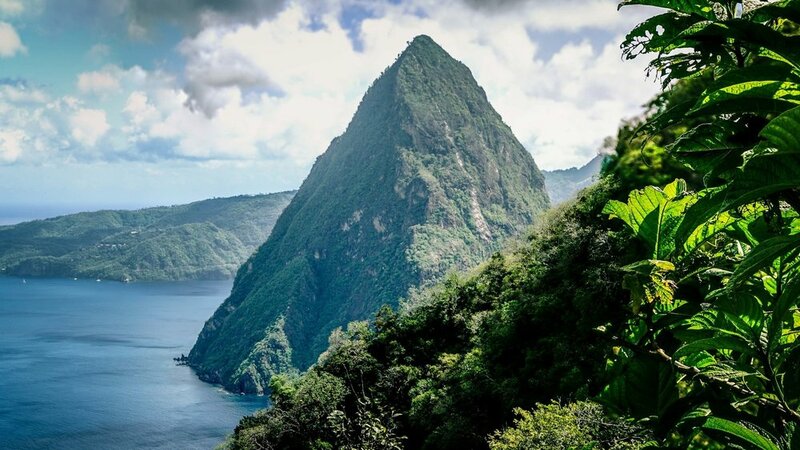 St, Lucia is a hiker and divers paradise - including every adventure seeker in between. With so much to do it's easy to become overwhelmed by the number of tours, excursions, and sightseeing. But it doesn't have to be if you do your research ahead of time! Many excursions are half-day or all-day events so planning your adventure days ahead of time can ensure that you're able to maximize your time. Having a rental car in these circumstances makes it easy to navigate to multiple adventures at your own pace at a fraction of time and cost. Many advertised tours will pick you up directly from your hotel, but for those with rental cars many of these amazing adventures are conveniently located just 10-20 minutes outside the town of Soufriere at much cheaper costs than tours. Entry into many of these excursions may vary which prices are shown below, but tours can certainly start to add up. Hiking: St. Lucia offers hikers of all kinds a trail to love. With varying degrees of elevation and difficulties, one can easily plan for a workout with epic views of the local area. We decided to take on the Gros Piton which took about five hours round-trip. While we are both in decent shape, it was still quite a challenge but well worth the experience and views awaiting us. One of the best tips we received was to do a hike just before heading to the hot springs mud bath - a must! 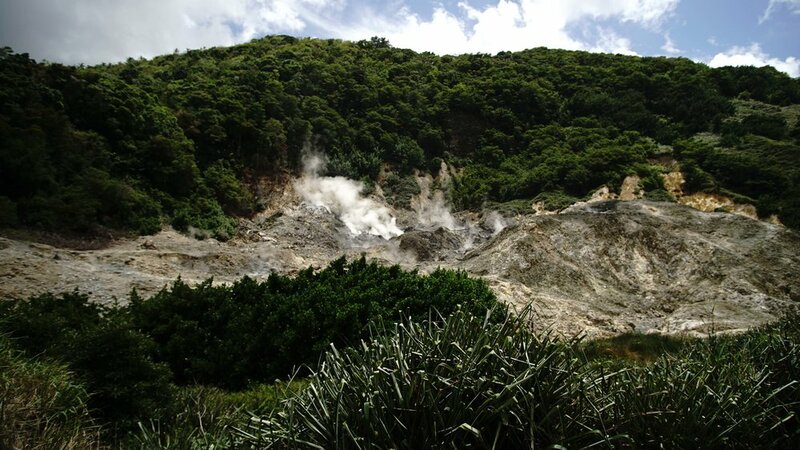 Sulphur Springs Mud Bath: Sulphur Springs in Saint Lucia is the hottest and most active geothermal area in the Lesser Antilles and is billed as the Caribbean’s only drive-in volcano. At the hot springs, tourists can be found covering themselves head-to-toe in volcanic sulphur clay which offers a unique and relaxing experience with a world renowned ability to reduce stress, cure rheumatism, psoriasis and other skin ailments. Talk about feeling 20 years younger! 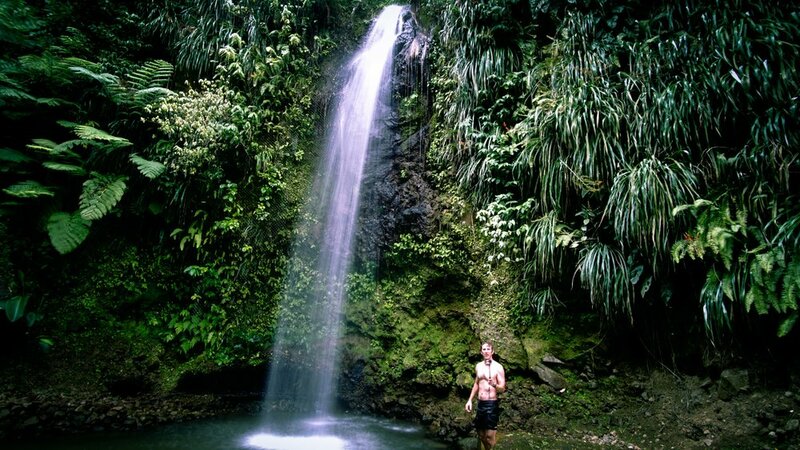 Waterfalls / Botanical Gardens: Discover St. Lucia's lush fauna and relax in natural spring pools just minutes from Soufriere. With multiple waterfalls within a 10 mile radius of the bay, there are many to discover, each offering unique and beautiful views. 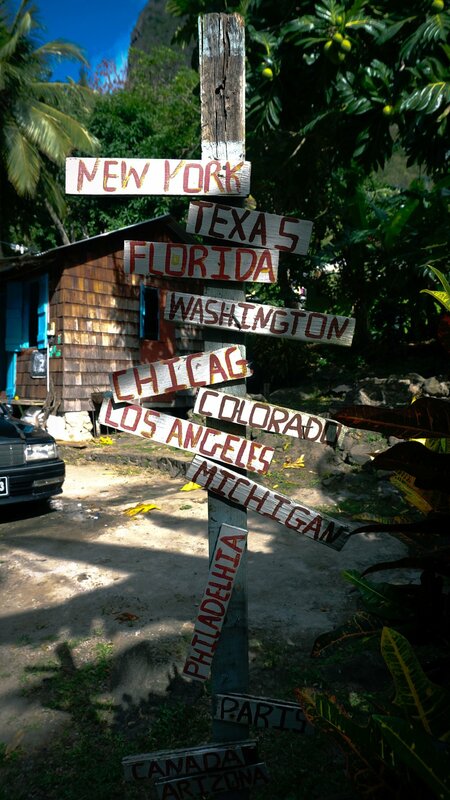 Some top spots we discovered were Piton Falls, Toraille Waterfall, and Diamond Botanical Gardens. 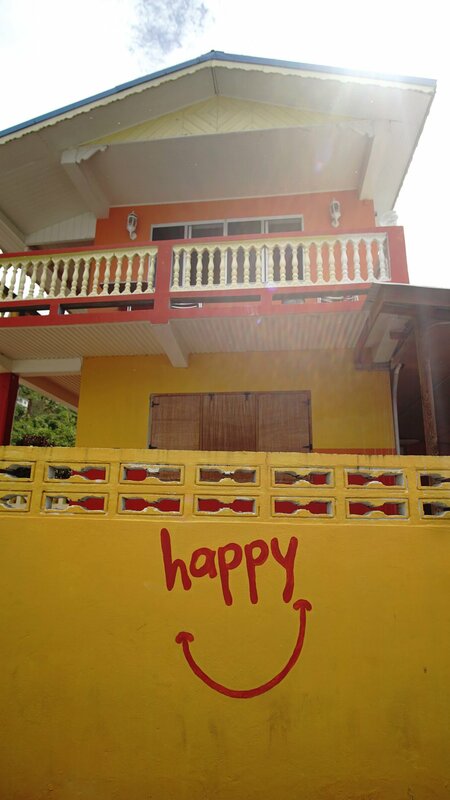 If you're also a traveling foodie the variety of options and unique cuisine make this Carribbean Island a taste buds hotspot. From modern day Creole recreations, fusion cuisine and local farmers markets, there is something for everyone. The bonus being that if you wish to try a resort restaurant you can easily do so with confidence and a reservation. St. Lucian cuisine is a unique blend of West African, European (mainly British and French) and East Indian cuisine; creating dynamic dishes such as stew chicken, rice and peas, fish broth or fish water, and soups packed full with fresh locally produced vegetables. Zakas Art Café: This is a must do for breakfast, coffee and smoothies. Nestled in the heart of the bay, the cafe offers a locals take on an art and health cafe with a colorful atmosphere at reasonable prices. The owners, a husband and wife duo, are exceptionally hospitable and informative about the local foods, history and art mediums for sale in the gallery. Definitely made for a great way to start off our days. Boucan - Hotel Chocolat: HOLY WOW. Our breath was quite literally taken away the moment we stepped foot into the Chocolate Hotel's Boucan Restaurant...and the excitement didn't end there! Aside from the stunning view of the Petit Piton, each dish is carefully crafted from fresh, locally grown cocoa. From salad dressings to meat/fish rubs, to martinis, each course more impressive than the last. While we mainly toured the restaurant area, the hotel encompassed a very sleek, nature-focused zen vibe that added so much to the overall dining experience. Petite Peak: If you're looking for great food with a local flair, complimented by views of the bay without the resort price tag, Petite Peak is for you. Tasty local fish with a specialized twist and friendly staff made for the perfect dinner with a view. The Viceroy / Sugarbeach: The food, cocktails, service and guest cats made for a lovely first night on the island. At your typical resort pricing, every dish had its own unique look and flavor. The restaurant is located just off the sands and was perfect to walk around the grounds to capture what we could of the sunset and settle in for dinner or drinks. Massey's Grocery & Food Markets: At Sapphire Apartments we had our own kitchen so grocery shopping and cooking helped save a lot of time and money when it came to quick meals like breakfast and lunch. With many fresh local options at both grocery stores and food markets, we were rewarded with not only a great view to dine, but all the amenities one would have at home. As one of the Caribbean's most hospitable cultures, natives here are more than willing to help tourists make the most of their experience and share with you their history and culture. Plus, the fact that everyone is so happy and inviting make travelers feel safe and welcomed. Culture: The culture in St. Lucia is influenced by African, East Indian, French and English heritage. Due to British colonization, the official language here is English. 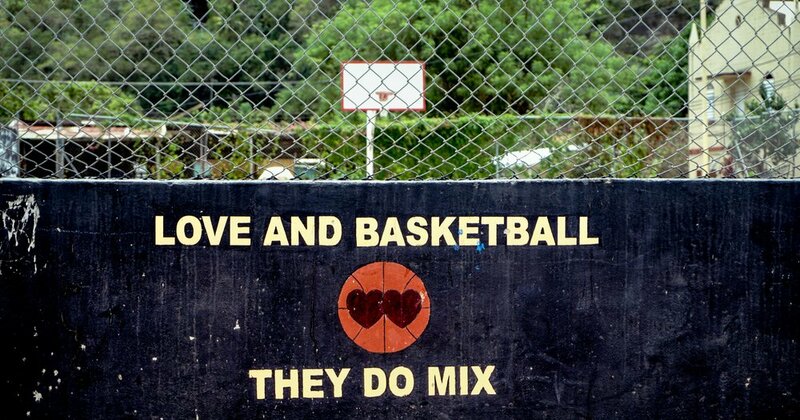 But other cultural influences still linger. 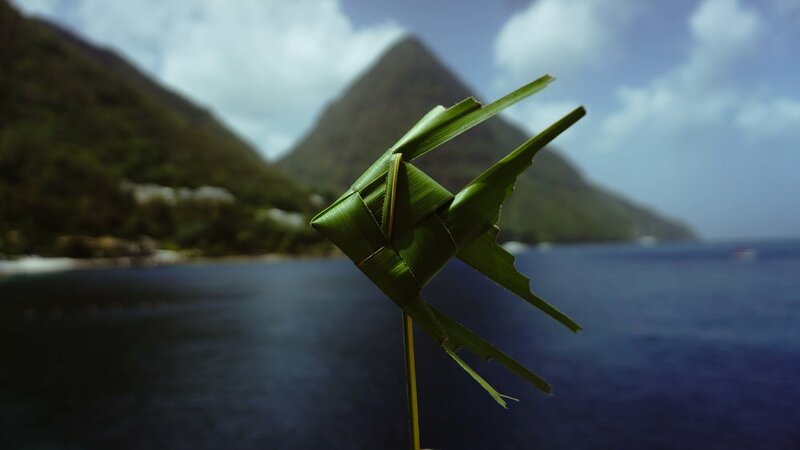 The cultural heritage of St. Lucia played a large part in the language its inhabitants now speak which encompasses elements of Carib and Arawak, along with a heavy French influence. While locals on St. Lucia speak have a unique dialect, English-speaking travelers can enjoy a unique cultural and language experience while still feeling right at home. With an educated workforce and improvements in roads, communications, water supply, and more, the island has attracted foreign investment in tourism. Currency: Note that the euro and American dollar/card is accepted all around the island. Given that many tours and local businesses are on a smaller scale, having cash on hand or asking ahead of time what is accepted is definitely recommended. The locals are all very kind and hospitable but respectfully do request tips as tourism is a source of income for many so having cash on hand can make things far easier and comfortable. FUN FACT: Saint Lucia boasts the second highest ratio of Nobel laureates produced with respect to the total population of any sovereign country in the world. The two winners have come from Saint Lucia: Sir Arthur Lewis won the Nobel Prize in Economics in 1979, and the poet Derek Walcott received the Nobel Prize in Literature in 1992.